In a September 24, 2013 ruling, the New Jersey Supreme Court addressed whether liability insurers covering a long-tail environmental contamination loss may seek contribution from the New Jersey Property-Liability Insurance Guaranty Association (“NJPLIGA”) for the Carter-Wallace shares of insolvent insurers. Perhaps most important to insureds, the court rejected the position that the insured bears the burden of the insolvent insurer’s Carter-Wallace allocated payment obligation to the extent NJPLIGA was not required to pay. Instead, the payment burden rests solely with solvent insurers on the risk. Farmers Mutual Fire Insurance Co. v. New Jersey Property-Liability Insurance Guaranty Assoc. involved two insurers (Farmers Mutual and Newark Insurance Co.) that insured properties that suffered soil and groundwater contamination caused by underground storage tank leaks. Farmers Mutual paid all of the remediation costs and, after Newark was deemed insolvent in 2007, sued NJPLIGA for contribution seeking to recover Newark’s Carter-Wallace share of the remediation costs. The Guaranty Association asserted that the NJPLIGA Act required exhaustion of all available solvent coverage before it had any payment obligation, and because the Farmers Mutual policies were not exhausted, Farmers Mutual had no right of contribution against the Guaranty Association for the policies issued by Newark, an insolvent insurer. The court found that the NJPLIGA Act, specifically N.J.S.A. 17:30A-5, requires that if one insurer on the risk is insolvent in a continuous-trigger case, then the limits of the policies issued by solvent insurers in any other years must first be exhausted before the Guaranty Association is obligated to pay statutory benefits. The court held that, Owens-Illinois, Carter-Wallace, and their progeny’s allocation methodology scheme do not take precedence over the Act’s statutory requirements. In addition, we do not accept amicus curiae Zurich’s position that, for the years in which the Guaranty Association is standing in the place of an insolvent carrier in a long-tail environmental contamination case, the insured—not the solvent insurer—is compelled to make payments under the Owens-Illinois allocation scheme before accessing statutory benefits under the PLIGA Act. That interpretation of N.J.S.A. 17:30A-5 would turn the PLIGA Act on its head. The PLIGA Act created the Guaranty Association as a means of providing benefits to insureds who, through no fault of their own, have lost coverage due to the insolvency of their carriers. N.J.S.A. 17:30A-4 directs us to “liberally construe” the Act to achieve its purposes. One of those purposes is “to minimize financial loss to claimants or policyholders because of the insolvency of an insurer.” N.J.S.A. 17:30A-2. That aim would be defeated by making the insured bear the loss for the carrier’s insolvency before the insured received any statutory benefits from the Guaranty Association. In other words, the insured is not obligated to pay the insolvent insurer’s allocated payment obligation before receiving statutory benefits from the Guaranty Association. Accordingly, solvent insurers on the risk in a continuous-trigger case under New Jersey law cannot look to the Guaranty Association or the insured to pay the Carter-Wallace shares allocated to an insolvent insurer. 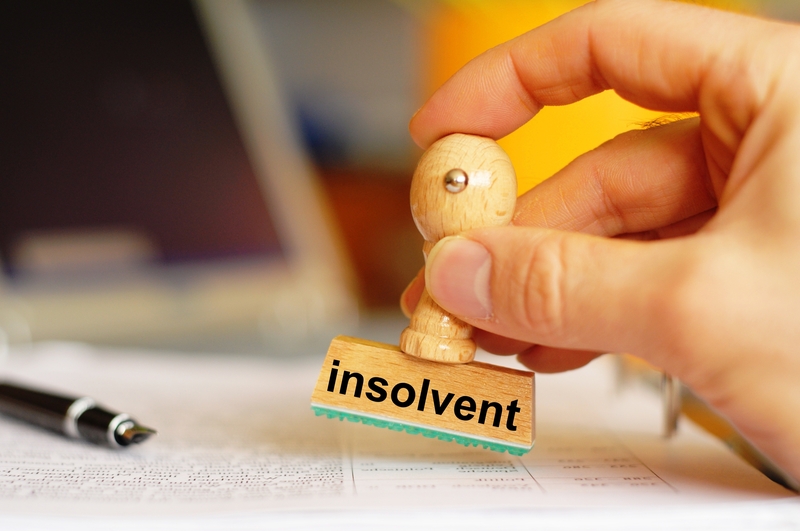 The burden of paying insolvencies shifts squarely on solvent insurers.